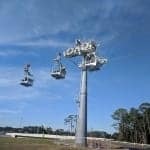 We’ve been following the Disney Skyliner project for some time now and seeing towers, stations and cables going up all around Walt Disney World over the past year. 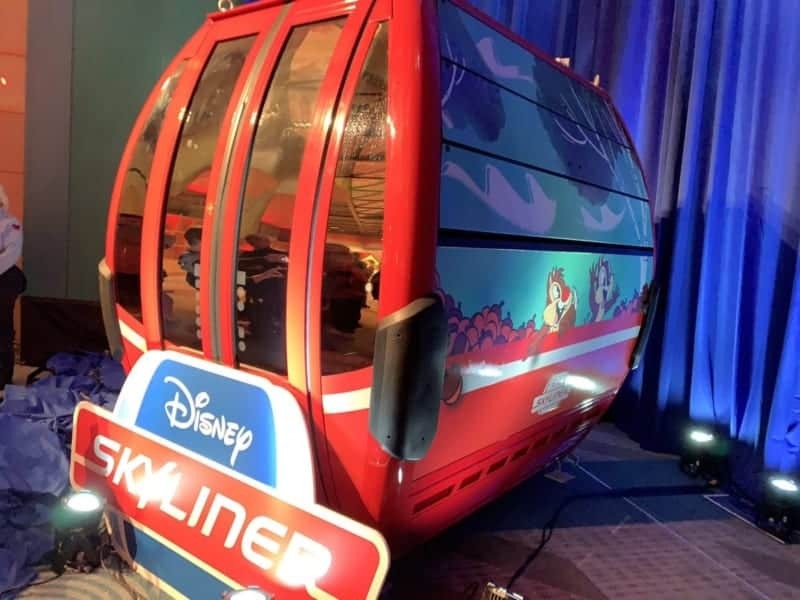 Now today at the D23 Destination D event Disney showed off a first look at the Disney Skyliner Gondola Cars which will be transporting guests around the Walt Disney World Resort. 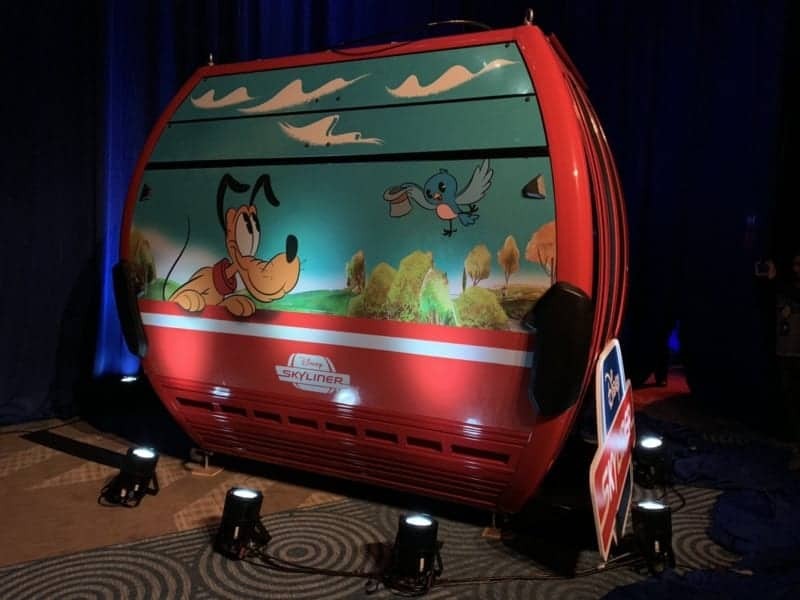 As you can see they are a very sleek and modern looking design. 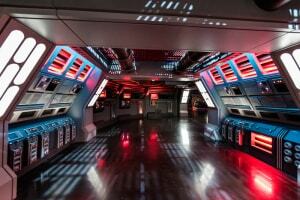 Most notably there is no air conditioning either, so that should be put to bed now. 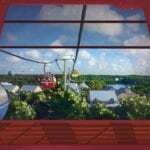 One thing is sure though, the Disney Skyliner is going to offer some amazing views of Walt Disney World that you’ve never seen before. That should lead to some great photo opportunities! 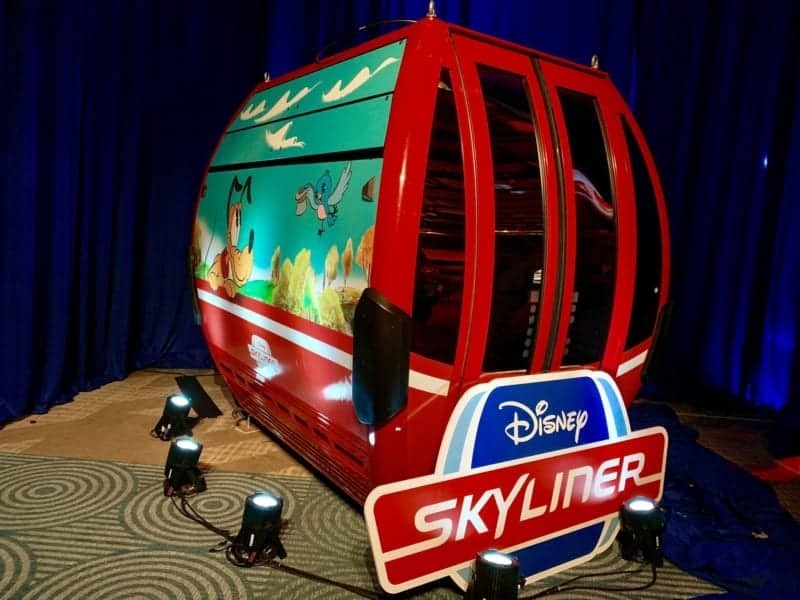 We can’t wait to see what other characters are going to be included in the Disney Skyliner Gondola Cars! 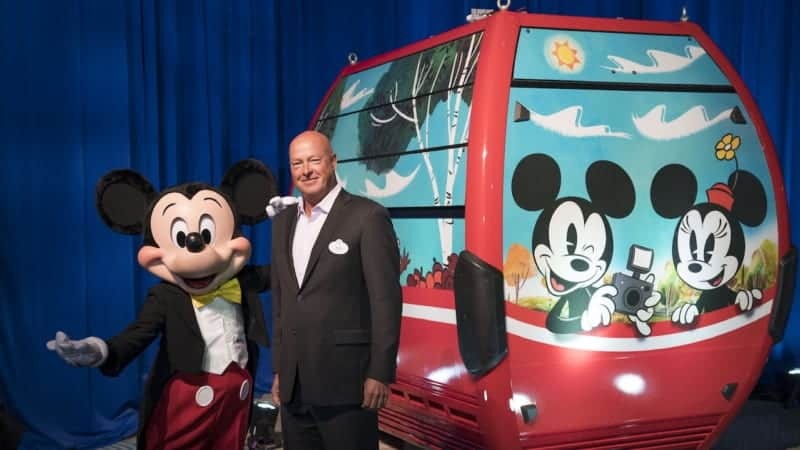 Which characters do you want to see on the cars? 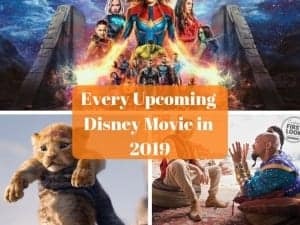 Other articles are saying that there will be A/C. I read somewhere that there will be vents to add air flow when in motion. I would assume there would be fans in here as well, but from most everything I have read there will not be air conditioning. 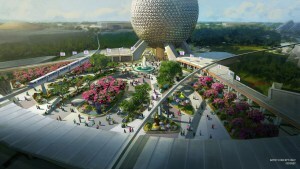 Maybe they are delaying the opening until Fall of 2019 so they can test the temperatures (and weather) during the summer. 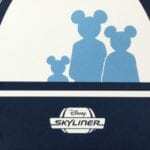 It certainly appears they could probably open the Skyliner sooner with cables being added already. Hopefully they will have a back-up plan if the temperatures inside are too high for quality standards especially during delays/stoppage.